Following the video from Affleck himself earlier today of Deathstroke on the set of Justice League, TheWrap reports that the one-eyed villain will be the main antagonist of the upcoming solo Batman movie. It still remains to be confirmed who will be wearing the mask of the villain and which DC films he will be appearing in, so check back here as we learn more. Affleck is slated to direct the film and has co-written the script alongside DC Entertainment President Geoff Johns. No official release date has been announced for the project, though Affleck previously said he wouldn’t begin production until the script was completed. Warner Bros. previously set release dates for two untitled DC projects on October 5, 2018 and November 1, 2019, meaning the film could take one of those dates. 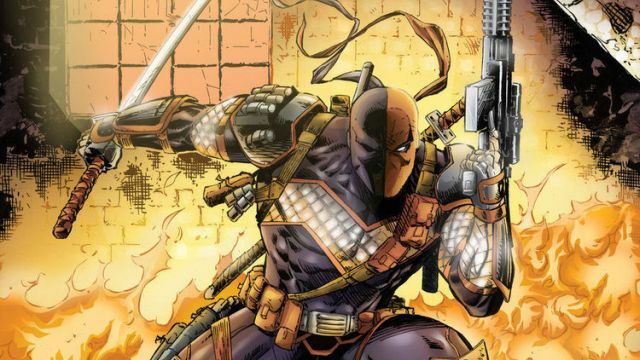 What do you think of Deathstroke being the main villain in the Batman movie? Sound off with your thoughts in the comments below!